I had a great trip to the farmer’s market yesterday with my daughter (she was in it for the sorbet). I got a squash I have never seen before and didn’t write down the name (pictured below). If you know what it is, please let me know! It tastes like a cross between a sweet potato and a pumpkin. I also got a wonderful fruit and nut mix. 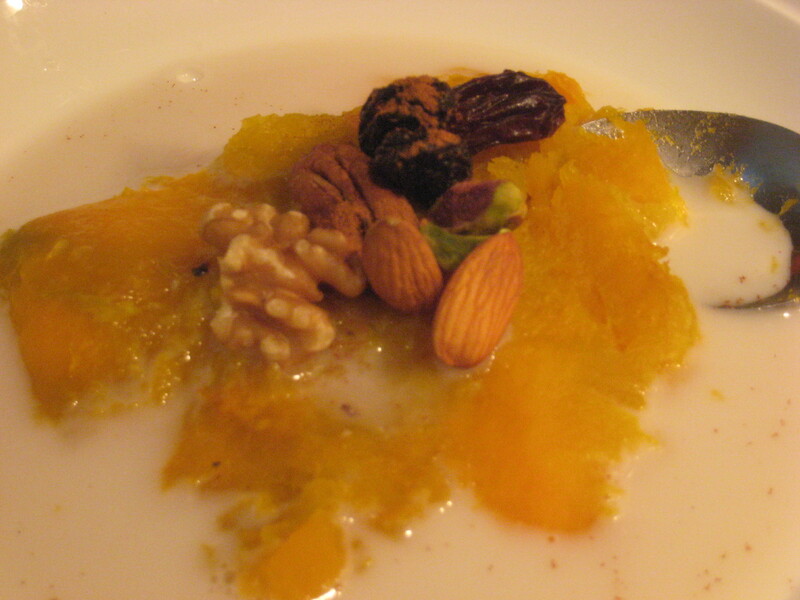 The best part was the dried fruit had no additives, sulfates or sugar. Breakfast can be a challenge on a restricted diet and I was looking for a different way to incorporate vegetables in the morning. I came up with this recipe and was very pleased with the results. 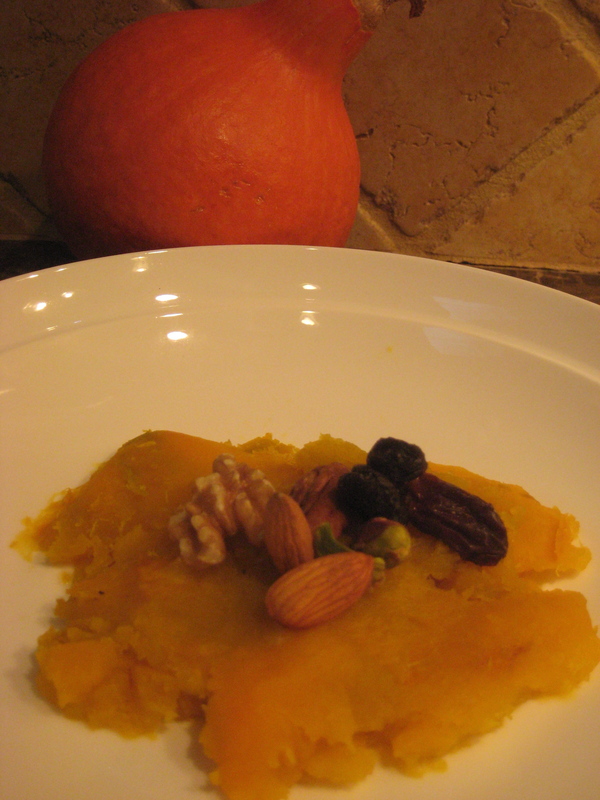 You can substitute with any squash you have: acorn, butternut or pumpkin. A sweet potato would work nicely as well. I had never thought of having squash for breakfast, Julie, but this sounds really tasty! Great idea! Hi Julie. 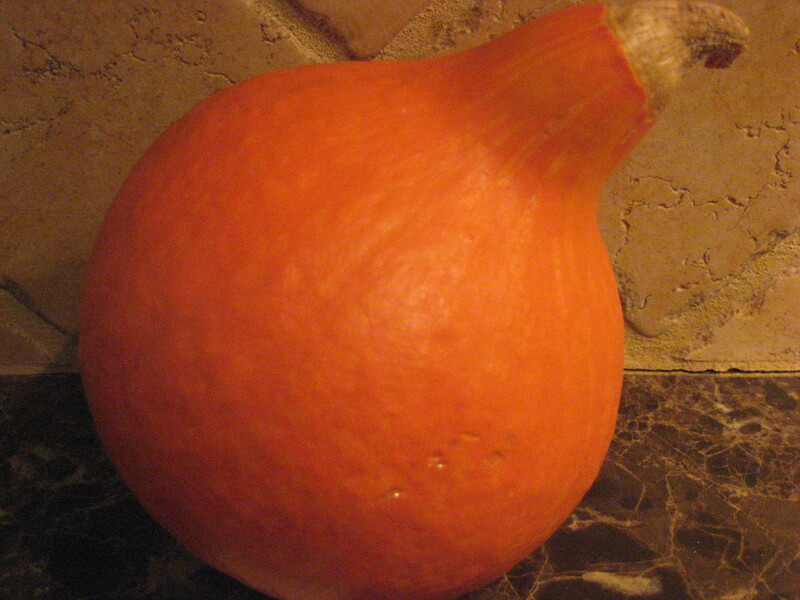 It’s a red kuri squash. Yum. One of my favorites along with kabocha. The skin is edible, too. Ooops. I meant to add that it’s red kuri squash. Did you already figure this out? Kabocha is yummy, too, and similar. Yum! I did figure that out but thanks! I was actually just eyeing kabocha last week…I think I’ll pick some up next time. Thanks again!